Visitors who have undergone a retreat at Marga Yoga have only had positive things to say about their experience, ranging from the owner’s warm hospitality, to the delicious food and well-organised program. You’ll find a variety of retreats here, like the 5-day ‘Inner Peace’ program involving gentle yoga, awareness meditation, nature walks and classes, or 7-day ‘Ashram Retreat’, where there’ll be lectures, as well as daily meditation, yoga and chanting classes. If you’re new to meditation and don’t fancy joining in a retreat just yet, feel free to drop in for a one-off meditation class. For an immersive meditation retreat experience join in the 3-day or 7-day meditation program at Dipabhavan Meditation Centre. Unlike other retreats whereby activities like outdoor excursions, journaling and nature walks are included as part of the program, the schedule at Dipabhavan is kept simple. The day starts early at 4:30am with a meditation session, followed by yoga and exercise. Vegetarian meals are taken two times a day, with tea being given in the evening. Throughout the day participants alternate between walking and sitting meditation sessions, and engage in Dhamma talks and chanting meditation. Living conditions are clean but basic – showers are taken with a pail at the reservoir, and rooms are furnished with wooden beds, straw mats and wooden pillows. It can be a daunting experience for individuals who are entirely new to meditation, but if you follow through with the program you’ll be rewarded with a sense of calmness and inner peace at the end of your retreat. Yoga retreats at Vikasa Yoga are enviable experiences made up of ocean views, salubrious fare and a variety of yoga and meditation classes. If you’ve got seven days to spare carve out time for the Spring Fun Retreat, where the focus is placed on conducting vinyasa yoga, acro yoga and meditation classes. 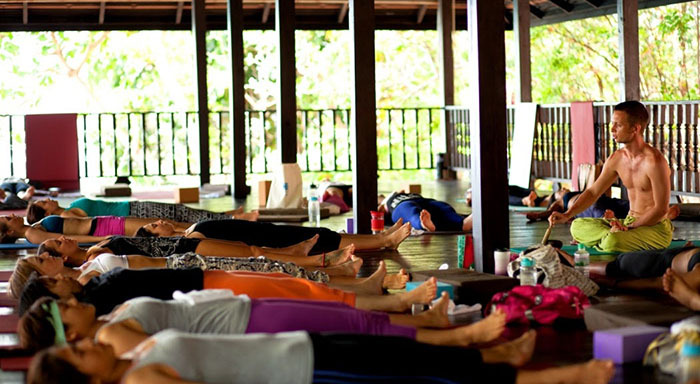 If you can’t afford to take a week off, the 3-day Vikasa Yoga Retreat may fit into a slot on your busy schedule. Yoga sessions are conducted twice daily, a meditation class is held every morning, additional yoga and pilates classes are available for participation and access to the well-equipped Sky Gym is included in the program. If you’re a firm believer in spiritual healing, a retreat at Surya Muni Spirtual Healing Center will float your boat. Join in a chakra healing session to balance your energy flow, purify negative karma through a karma cleansing session or heal your body the natural way with food and herbal medicine. Apart from spirital healing sessions, the retreat program also involves activities like Thai yoga, Thai massage treatments, cooking classes, evening prayer, meditation and outdoor excursions. Check out their calendar for upcoming retreats. Retreats at Kamalaya Koh Samui are enviable affairs, and will suit travellers seeking a relaxing experience. Picturesque surroundings envelop the center; here you’ll wake up to a picture-perfect landscape made up of the sparkling ocean, towering palms and lush tropical foliage. An array of plush amenities are at your disposal, so fill up your days with sunbathing sessions by the pool and pampering massages in the breezy spa pavilions. The center offers a variety of retreat programs, but if your focus is to develop your yoga and meditation practice, have a look at the Personal Yoga Synergy Program. One-to-one yoga sessions, wellness consultations, massages, ayuredic treatments and access to facilities like steam cavern, swimming and plunge pools, and fitness centre are included as part of the package. Four bedroom Villa Akuvara accommodates a total of eight guests, so it’s an ideal choice for small group retreats. The perks: you’ll have a well-manicured garden, sun-drenched deck with ocean views and a beachfront right at your doorstep. 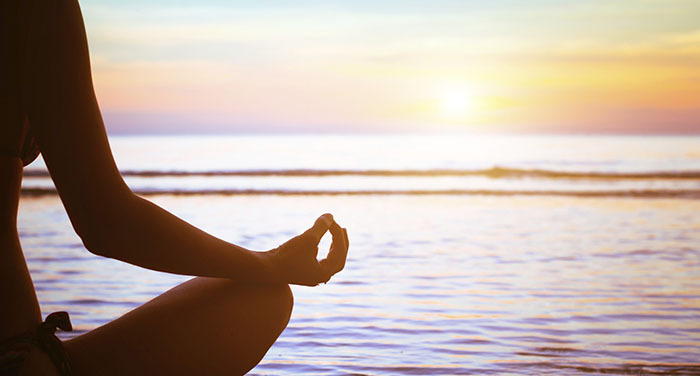 Say hello to beach yoga and meditating to the sonorous sounds of the ocean! Larger groups are better accommodated at Villa Inasia, where eight capacious bedrooms sleep 16 guests. You’ll have direct access to the coast from the villa, so make no excuses for not attending your morning beach yoga lessons. When you’re not stretching out in a pose or stilling your mind in a meditation session, chill out in the well-appointed living spaces or by the glistening infinity pools. 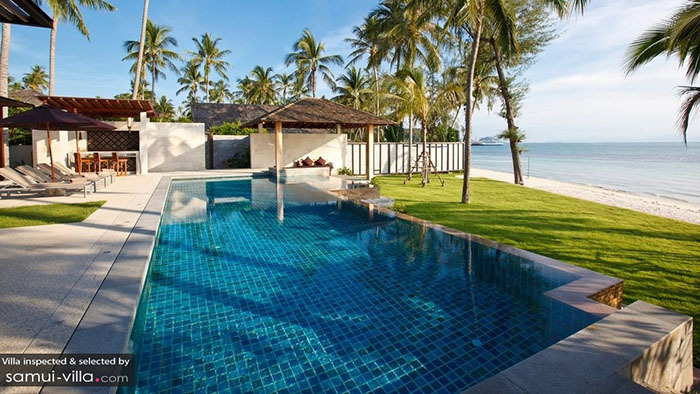 For an unforgettable retreat step right into the arms of the luxurious Villa Riva Samui, where living spaces come fitted with contemporary fixtures and modern amenities, and room look out to the ocean. A pathway leads from the villa to a private cove and white sand beach, so conducting beach yoga classes during your retreat will be a breezy and convenient affair. If you wish, fill up the rest of your retreat itinerary with decadent massages, sauna treatments, dips in the jacuzzi and movie marathons in the comfy cinema room.